RBI Assistant Eligibility Criteria 2019- Check Age Limit & Education Req. 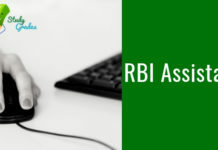 RBI Assistant Eligibility Criteria 2019– Aspirants of RBI Assistant 2019 Exam must satisfy each eligibility condition of the exam. The online written exam to recruit eligible Indians to the post of Assistants in the Reserve Bank of India, to be held in November 2019. 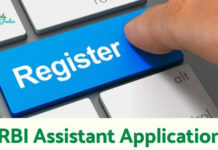 The RBI Assistant 2019 Application form will be released in the month of October 2019. Eligible candidates will be able to fill the online application form till November 2019. It is expected that the examination is likely to be held in November 2019. Only those candidates who satisfy all the norms of RBI Assistant eligibility 2019 will be allowed to appear in the exam. 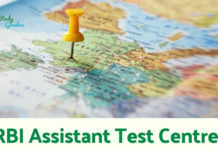 RBI Assistant 2019 Eligibility comprises conditions related to nationality, age limit, age relaxation, and educational qualification. 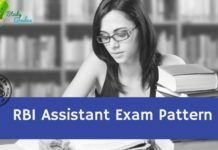 For the ease of aspirants, we have provided the complete details of RBI Assistant Eligibility Criteria 2019 in the article, check the details. Only Indian citizens can apply for the RBI Assistant Exam 2019. Candidate’s age must be between 20 and 28 years as on 01 October 2018 i.e. Aspirants must have been born between 02 October 1990 and 01 October 1998 (both days including). Candidates belonging to listed categories can avail the age relaxation in upper age limit, check the details here. Candidates availing age relaxation, need to submit a valid proof of age at the time of interview. Candidates must have attained a bachelor’s degree in any discipline with at least 50% marks (pass class for SC/ST/PWD candidates) in the aggregate and the computer knowledge. A candidate belonging to Ex-servicemen category (except dependents of ex-servicemen) must possess a graduate degree from a recognized University or should have passed the matriculation or its equivalent examination of the Armed Forces and rendered at least 15 years of defence service. Candidates should be proficient in the regional language (i.e. know to read, write, speak and understand the language) of the state for which they aspire to apply. Stay Connected with StudyGrades for latest updates on RBI Assistant Eligibility Criteria 2019..! !